I will be doing a mixed age program once a month and will be focusing on picture books that were made into movies. I want to use picture books because all the participants will listen to the book at the beginning of the program. That way there is no requirement to watch the film to participate in the program. If a word, phrase, or character comes up that they didn’t hear in the picture book, then it came from the movie. There’s a great website to generate your own Bingo cards. 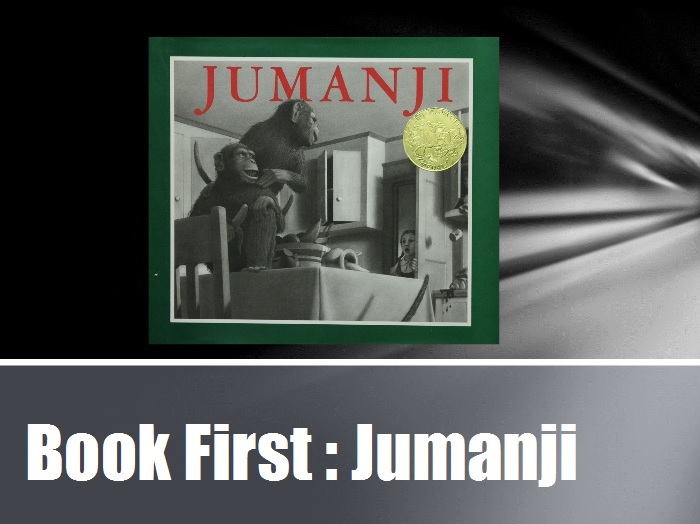 Here are ready to print Jumanji Book Movie Bingo Cards. This entry was posted on November 21, 2013 by mrsshaia in After School Library Programs, Book vs Movie, Thrive Thursday and tagged After School Library Programs, Book vs Movie, Thrive Thursday.